This entry was posted in Restaurants: Fontana by David Allen. Bookmark the permalink. 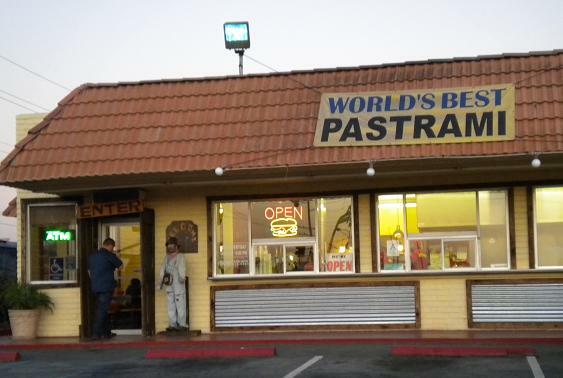 You’re a better man than I. I don’t think I’d have the courage to buy pastrami (regardless of a sign) from a taco place. Tooo incongruous. Now a taco at a pastrami place ???? Maybe. 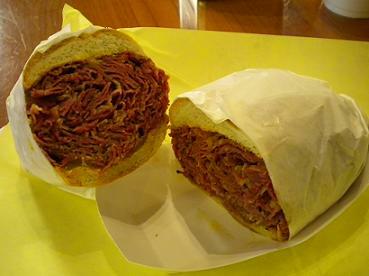 Actually, pastrami is among the safer choices at a restaurant you don’t know or that looks a little sketchy. It’s brined, partly dried, smoked and steamed prior to serving — a process invented specifically to preserve meat safely. Hate to be critical, DA, but it appears you did not go stong enough on the mustard with what otherwise looks like a great sandwich. All we need to find now in the I.E. is Pastrami Pho…or maybe Pastrami Al Fredo. Just point Mr. Borgen in that direction and I’m sure we will get a nice, rambling endorsement. This place was the home for many years of Miguel Jr’s who moved to Cherry and Baseline. I wonder why they never had the dining room open? All they had was the takeout window and the little area where, in your picture, a man is entering. 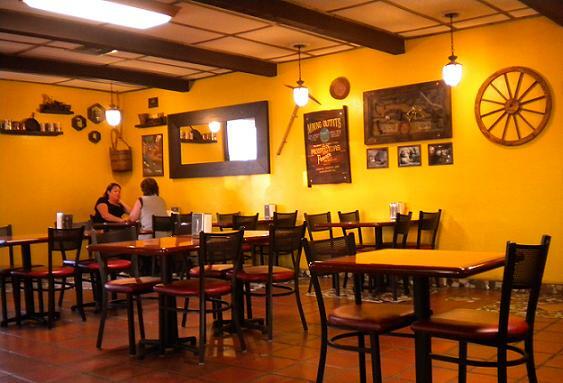 I only lived in Fontana 12 years but does anyone remember if Miguels ever had the dining room and why they closed it? Thanks. wonder if they have tacos de pastrami?